I'm a real estate valuer who worked in the Australian Taxation Office (ATO) and Commonwealth Bank of Australia (CBA) before co-founding a private valuation practice, Westlink Consulting. I discovered that we leave too much publicly-generated land rent to be privately capitalised by banks and individuals into land price bubbles. This generates repetitive recessions and depressions. These need to be avoided by capturing more revenue from land values to free up wages and household debt. By a number of objective measures Australian property is in a bubble, exposing landowners to the imminent prospect of a once-in-a-century price collapse, the Land Values Research Group confirmed today. “Sober cautionary voices from within Australia and overseas have been ignored in a frenzied headlong rush to profit from the surge in prices,” LVRG Research Associate Bryan Kavanagh said. “It is now too late. The profits have been made. Canny investors have already sold up and left the market. The LVRG today released its annual assessment of real estate sales for the financial year ended 30 June 2010. It includes the aggregated residential, commercial, industrial and rural real estate sales from all Australian states and territories. “The 2010 property turnover figure is 3.74 times that at the peak of the 1989 real estate bubble. The 2010 figure of $327.447 billion (for 664,816 sales) is a new record. It compares with 2009 financial year sales of $272.997 billion (612,975) and the 2008 figure of $309.604 billion (665,982). 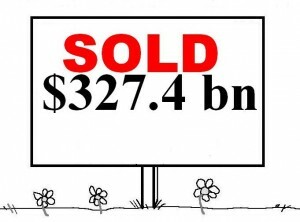 Only the real estate sales for Queensland were less in 2010 than those in the previous year, $50.5 billion in 2010 compared to $53.3 billion in 2009. “The growing build-up of inventory with agents, particularly in residential real estate, will almost certainly ensure a drop in turnover during the current financial year – setting the conditions for the first Australian recession in twenty years. The LVRG has tracked real estate sales data since 1972. It defines a real estate bubble as anytime total sales exceed 18 per cent against seasonally adjusted gross domestic product. 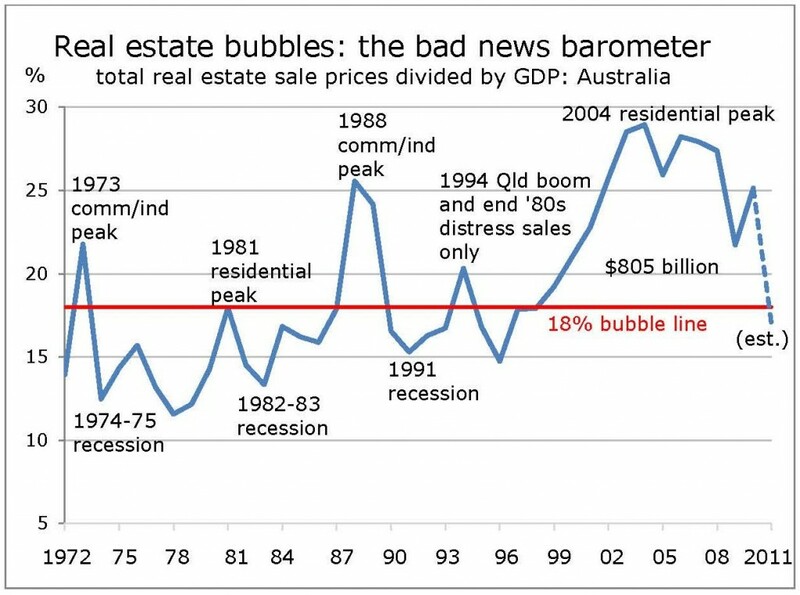 During the period of the current bubble (1999 to 2010) Australians spent $2.767 trillion on real estate of which 29.1% ($805 billion) is in the bubble and will need to be ‘deleveraged’. “Measuring the current level of real estate prices against GDP takes into account both the growth in population and in the economy. Despite difficulties in getting the data together, the picture they paint is clearly one of a bubble which must correct,” Mr Kavanagh said. The argument that population increases and the shortage of supply explains away the current exceptionally high real estate prices does not stand up to scrutiny, Mr Kavanagh said. He noted property agents in the USA tried to justify high prices in just these terms before the bursting of its residential bubble. Our studies show the housing market alone is over-valued by 45%. “I cannot give a date for the Australian bubble burst – this depends on spontaneous motivation, “animal spirits” – but it is clearly looking us in the face. “The GFC has reset expectations around the world. Australians are now focused on reducing their record high household debt to a more manageable level, making it unlikely any similar government intervention will induce another buying surge in the residential market, Mr Kavanagh concluded. I’ve been pretty quiet because I’ve been working on completing the Land Value Research Group’s unique assessment of Australia’s total property sales for the 2010 financial year. Of course, with the assistance of Dr Gavin Putland, I’ll use these figures to update the barometer of the economy and the Kavanagh-Putland Index which include similar data all the way back to 1972, and which anybody conversant with The Depression website knows paints the picture of Australia’s immediate economic future. Everything’s just about ready. I’m getting a media release together that I’ll also post here in due course. WHY DOES STATUS QUO RESORT TO SNEER? I attended the first day of the Australian Property Institute’s Annual State Conference at Crown Casino on Friday, before venturing off into the evening to witness my once-mighty Geelong humbled by Collingwood at the MCG. Conference master of ceremonies, financial journalist Michael Pascoe, deftly introduced and posed questions to a diverse range of speakers across a wide range of property-related topics. No speech was as legally forensic as Ian Pitt’s details of the bureaucratic impossibilities facing valuers in Melbourne’s five growth areas now overseen by the Growth Areas Authority. And none was more impassioned than John Anderson’s account of the enjoyment, risks and tribulations in founding Contiki Tours forty-six years ago, at the age of twenty-two. 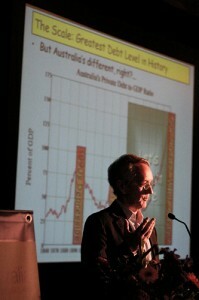 However, in a presentation suggesting that population and shortage of supply actually support the existing levels of Australian residential property prices, Christopher Joye, the managing director of the research group, Rismark, decided to venture into personal abuse to smear Associate Professor Steve Keen of the University of Western Sydney as an “Aussie Roubini-wannabe”. Keen was not in attendance. I might add that I didn’t see Christopher Joye’s name next to Keen’s among the twelve economists who forecast this global financial crisis. Envious, perhaps, Chris? Joye sneered at Keen’s 2008 forecast that house prices are going to fall 40 per cent or so in the next few years and in his 2010 opinion that he now expects to see an accelerating rate of decline in house prices. Fortunately, towards the end of the day, RMIT Associate Professor of Property, David Higgins more generously allowed that the residential market may be artificially inflated. His statistical analysis then proceeded to show that government manipulation appears to account at least in part for Australia’s inflated residential markets. This, it seems, is especially before an election and warrants further investigation. 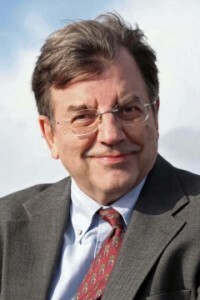 Higgins’ paper “The impact of political risk on Australian house prices” appears in the September 2010 issue of the Australia and New Zealand Property Journal. Summary? A brickbat for Joye’s descent into ad hominem, and a bouquet for Higgins’ more thoughtful analysis of the overheated Australian residential market. 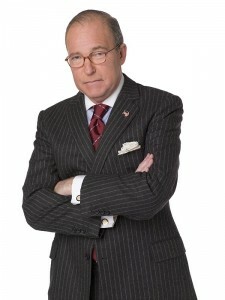 At the risk of sounding like a member of the Tea Party, there’s more than a hint of truth about this CNBC Larry Kudlow “Reality Check” Report in connection with US housing. It’s what Japan didn’t do, and what the US doesn’t want to do: a bit of “free market shock therapy”, as Kudlow says. Oh, that and abolishing taxes on production, thrift and employment – and introducing a land tax, of course! I can smell the newest giveaway looming a mile off. The Wall Street bailout, health-insurance giveaway and support of real estate prices rather than mortgage-debt write-downs were bad enough, not to mention the Oil War’s Afghan extension. But now comes a topper: the $50 billion transportation infrastructure plan that Obama proposed in Milwaukee – cynically enough, on Labor Day. It looks like the Thatcherite Public-Private Partnership, Britain’s notorious giveaway to the City of London underwriters. The financial giveaway had the effect of increasing prices for basic infrastructure services by building in heavy financial fees – guaranteed for the banks, who lent the money that banks and property owners used to pay in taxes in more progressive times. The Obama transport plan is like a Fannie Mae for bankers, based on the President’s guiding mantra: “Let’s help Wall Street put Americans back to work.” The theory is that giving public guarantees and bailouts will enable financial managers to use some of the money to fund some projects that employ people – with newly created, non-unionized companies, presumably. Here’s the problem. Transportation projects will make real estate speculators, the construction industry and their bankers very rich unless the government recovers its public spending through windfall site-value gains on property along the right-of-way. What’s the point of a party having a constituency, after all, if not to sell it out? Is not the Democratic Party’s role to deliver labor, the minorities and the large cities hog-tied to Wall Street? Hollywood surely has made enough movies along these faux-populist lines. The banker of a Western town manages to grab property along the railroad tracks coming through, to make a killing. The local mobster pays off a state legislator to build a highway by his property, making his land much more valuable. Mortgages will be refinanced in much larger sums. At least, this seems to be President Obama’s hope as he positions himself to become America’s Tony Blair. The role of Britain’s New Labor, after all, was to ram through economic programs so far to the right than no Conservative government could get away with them. In the United States it falls to Obama’s New Democrats to shepherd through proposals that Democrats would vote down if the Bush-Cheney Republicans had tried to enact them. What President Obama did not acknowledge is a basic principle that every transportation economist is taught: Transport investment normally can pay for itself, simply by a windfall-gains tax enabling cities or other jurisdictions to recapture the higher rent-of-location and site value along the right-of-way. London’s extension of the Jubilee Tube Line to the city’s financial district in Canary Wharf recently demonstrated this principle. The line’s extension cost £3.5 billion but increased property values by an estimated £13 billion along the route. A political protest movement arose over London’s failure to finance its transport system by taxing the higher rent-of-location and site values it created. Failure to do so gave landlords a windfall – one that the city could have recaptured by a windfall tax to cover the cost of what it spent. For instance, it could have issued bonds secured by a windfall property-rent tax. Paying for capital investment out of such tax levies could provide transportation at a subsidized price, minimizing the cost getting to and from work. That would have made its labor force more competitive by alleviating cost-of-living pressure on wages, freeing more income for spending on goods and services and thus helping the economy. But Obama’s infrastructure plan is for Wall Street investors to get the windfall – as property owners or as mortgage lenders making much larger loans against the enhanced site value. Balzac said that behind every family fortune is a great theft, and I would add that behind every great fortune is a public-sector giveaway. The largest asset in most families, billionaires as well as small homeowners, is land. The key to its site value (“location, location and location”) is transportation and other public infrastructure. The land grants to railroad barons after America’s Civil War, for example created the largest American fortunes for the ensuing century. Obama’s guiding principle since taking office is that of his Republican predecessors: It’s Wall Street that makes America rich. In this mythology it’s the wealthiest brackets that employ labor, not downsize and outsource it. So it’s the rich who deserve tax breaks. No wonder Americans are listening to populist rants against “big government.” The Wall Street bailout was the watershed in making our government look like those of Britain and France in medieval times, with their special interests, insider dealings and giveaways to court favorites. Governments were hated when they were controlled by landed aristocracies and foreign bankers funding each new war debt by an excise tax borne by the population at large, not by the wealthy. 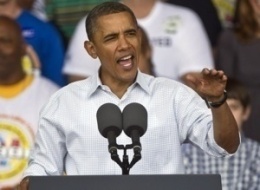 The plan would not add to the government deficit, Obama promised. Unfortunately, in place of government taking more revenue, it will be the finance, insurance and real estate (FIRE) sector that does the taking. The banking system will now do what government was supposed to do back in the Progressive Era: finance infrastructure. The difference today is that instead of funding transportation out of tax proceeds (levied progressively on the wealthy) or by the central bank monetizing public debt, the Obama plan calls for borrowing $50 billion at interest from banks. The problem is that this will build in high interest charges, high private management charges, underwriting fees – and government guarantees. User fees will need to cover these financial and other privatization costs “freed” from the government budget. This will build about $2 billion a year into the cost of providing the transport services. Britain’s Public-Private Partnership built enormous financing charges into the cost of providing transport. London could have built the tube extension without running up public debts to the banks, paying the construction costs by funding the higher rent-of-location. America could do the same. In fact, in times past the United States financed public infrastructure out of progressive taxation that fell mainly on the wealthy, and by monetizing the budget deficit. But under Obama’s plan, the rental value is to be capitalized into interest payments or simply kept by well-placed landowners. It looks like President Obama sat down with Larry Summers, Tim Geithner and his other Rubinomics holdovers from the Clinton/Goldman-Sachs Administration and asked what policies can be funded without taxing the wealthy, but by borrowing via a separate entity – with a government guarantee like the Fannie Mae and Freddie Mac gravy train for Wall Street. The cover story is always that giveaways to the wealthy are needed to employ labor. 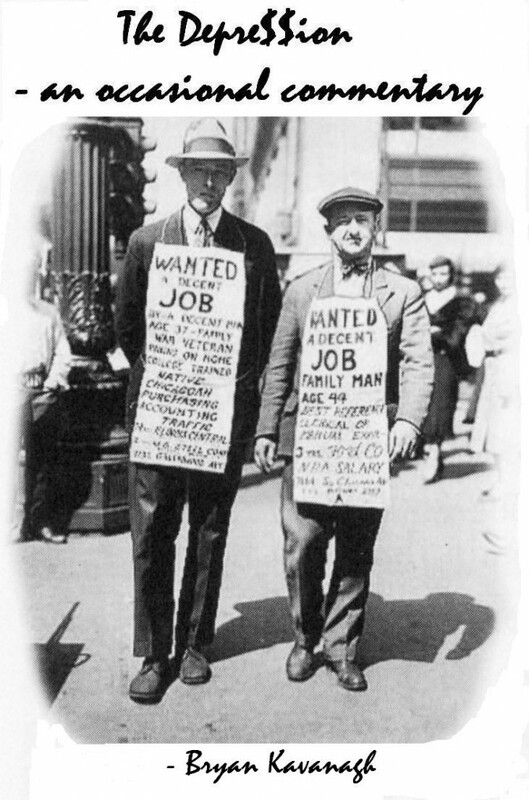 (“Wall Street creates jobs.”) The Democratic excuse these days is that the economy won’t work without providing financial investors with “incentives.” The Democratic Leadership Council helped President Clinton accept the world as it is, rife with the fraud, crime and the proverbial free lunch as part and parcel of how the economy works. This certainly is how to attract campaign contributors and the Wall Street lobbyists that are designing today’s right-wing shift by Washington. After its $13 trillion giveaway to Wall Street, the government has little debt-creating ability left in its budget to create jobs by public spending. Or so we are told. The giveaway money has not been lent out as promised to “get America back to work.” It has been paid out as bonuses to the bailed-out campaign contributors on Wall Street – and make offenders such as Bank of America and Citibank for their purchases of Countrywide, Wacovia and Washington Mutual (Wamu) whole for junk mortgages, on the pretense that a “sound banking system” is needed to get the economy moving again – the euphemism for pushing it further into debt. But if there was so much money for bailouts, why is there any need to finance the fairly modest $50 billion transport initiative by borrowing instead of funding it out of the general budget? There is no such need, of course. The program is simply an excuse for re-introducing Reaganomics as if the aim this time around is to “create jobs.” The way that Obama proposes to do this threatens to price American labor even further out of world markets, by raising the cost of getting to work, and of renting or going into debt to buy homes and offices near the new transportation hubs. And I suspect that as in Britain, the new public-private agency will be non-unionized. Britain’s Public-Private Partnership still looms as the dress rehearsal for what we are getting into. … MORE SENSITIVE TO THE WISHES OF THE PEOPLE? The shock jocks have wept their crocodile tears about potential instability and the power assumed by the three independents, but the parliament of Australia will undoubtedly be more democratic than it ever has been. Both Labor and Liberal parties have been badly shaken, and today’s resolution of the impasse could easily have gone the other way. The two major parties have long reflected the desires of the party machine, powerful lobby groups and the sometimes less than admirable thoughts of focus groups – in that order. It hasn’t been democratic, and politicians haven’t represented the good of the nation: certainly not in matters of taxation. Let’s hope this changes. Let’s also hope the closeness of numbers won’t stop the new government from addressing and debating the big issues that confront Australia. What excellent news to learn that the new government has agreed with the two independents, Tony Windsor and Rob Oakeshott, that the Henry Review’s recommendations on tax reform be resurrected into its considerations (and hopefully nothing will be ruled out)! And no, Bob Katter: it wasn’t free trade that has crucified Australian industry and the farming communty. It has been a tax system that rewards rent-seekers (including your mining friends, Bob) and punishes workers in every industry, including farming. To treat them only as commodities is idiocy, but even Greens are slow in coming to this conclusion. Hear San Franciscan Dave Giesen speak about Henry George’s ideas on Radio National’s “Saturday Extra” yesterday. 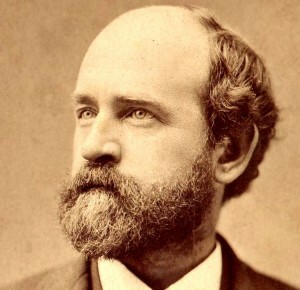 The 119th annual commemoration address of American social philosopher Henry George was given at the Conservatory Room of the Pumphouse Hotel in Melbourne last night, on the 171st anniversary of George’s birth. Prosper Australia’s Karl Fitzgerald welcomed the good attendance with a rundown of recent positive achievements that ranged from the Henry Tax Review (having come out in favour of mining rents and recommendations for a federal land tax to replace damaging state taxes), to Prosper Australia having made tentative liaison with bodies looking towards land value capture as a means of funding sorely needed public development and infrastructure (out of the uplift in values these projects generate). Fitzgerald introduced the commemoration address’ youngest-ever speaker, 21 year-old Arts-Law student at the Australian National University in Canberra, Steven Spadijer, who spoke with a confidence and style that belied his years. The audience was treated to a soundly researched exposition on the role investors’ expectations for economic rent had played over the years in setting up business cycles of boom and bust. 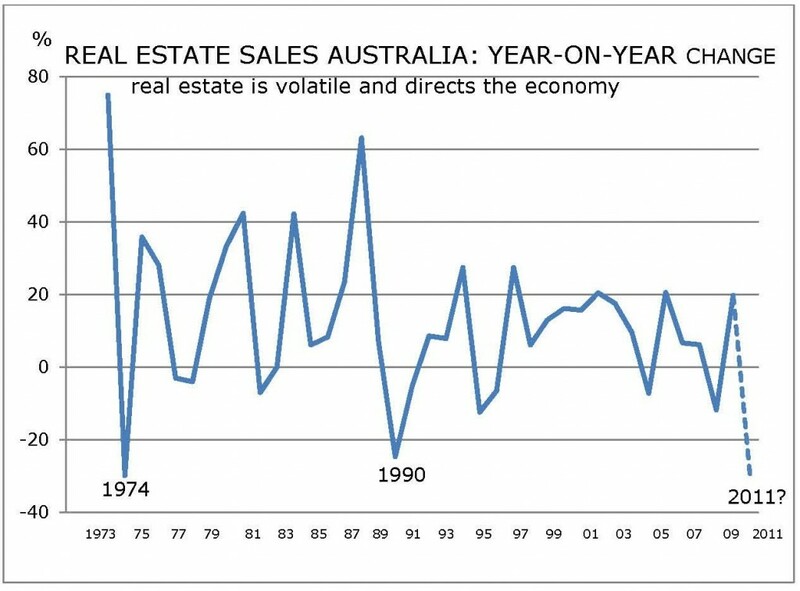 In charts and figures, Spadijer provided evidence showing that Australian real estate speculation at the outset of the 1970s was responsible also for the 1974-75 recession, despite claims by economists that the cause of the worldwide 1970s bust was the OPEC oil crisis. Endogenous, rather than exogenous, events around the world had proved to be the culprit, he said, and these were invariably related to the numerous private and business implications that sprang from local expectations in connection with rent. Speaking with several people at the dinner, it was agreed that things have progressed enormously since Ken Henry’s review. However, that mining interests can lead people in the street to believe that a mining rent is “a big new tax” that can kill off mining and employment is a shocking indictment on the public’s ignorance of natural resource rents. 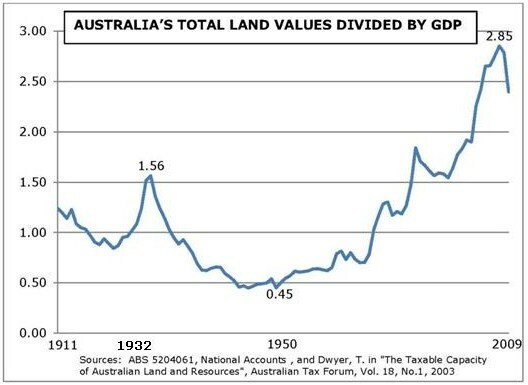 The Rudd government made no effort to educate people to the fact that Australians own their land natural resources, and that, quite apart from normal profits, they yield a dividend called economic rent, to which private enterprise has absolutely no right. The government used the terms “super profits”, but maybe it should have educated people to the term “community-generated surplus”? The big miners played on the ignorance of this publicly-created rent surplus like a grand piano, and this led in part to the demise of Kevin Rudd’s prime ministership. 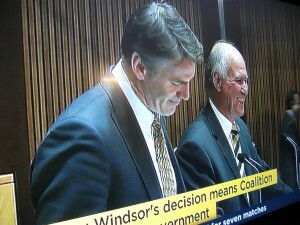 And Julia Gillard caved into them just before their announcement of enormous ‘super profits’ for the year. So, in the next phase, public education needs to be drawn to the fact that land and natural resource rents are NOT privately-created; it’s a “community-generated surplus” owed back to the community. Secondly, although it has gone out of fashion to talk in terms of ‘class’ in Australia (it suits the super privileged to paint this as being “politically-incorrect in Australia’s classless society”), maybe we need to understand that our super wealthy have obtained their position of privilege by cornering the “community-generated surplus” unto themselves. By monopolising rent, privilege claws back any taxes it pays by means of the increases in the capital value of their lands. The middleclass and poor are unable to do this. Until the public is educated to these facts, it seems it is, indeed, “political suicide” for any of the major parties to advocate mining ‘taxes’ or land rent, the Henry review’s intellectually rigorous recommendations notwithstanding. So, let’s hope in the next year or two we can educate the public to the fact that this natural “community-generated surplus”, not taxes, is the natural source for public revenue! The Reserve Bank of Australia’s Guy Debelle announced today that he thought poor risk management was responsible for much of the financial crisis. Oh, surprise! Why always post hoc and never a priori? Aren’t you guys meant to be protecting us? What’s the point of the RBA if it can only give an historical account of recent events? You’re meant to be in there moderating things, folks, not standing back and thereby assisting to make them worse! Where has the RBA been since land prices shot moonwards from 1999-2000? In fact, I commented in the British journal Geophilos in 2001 that the then Governor of the Reserve Bank, Mr Macfarlane, had been making soothing statements to the effect that “asset price inflation of either shares or property had not become a problem” as late as 10 July 2001. So, when exactly does it become a problem, RBA? Only after a crash, it seems! Phil Naylor, the chief executive of the Mortgage Industry Association of Australia, argues that mortgage brokers should not have to “take the rap” for the poor quality of home loans (“Don’t blame the brokers”, Letters, November 18). Mr Naylor is correct, of course, because this smacks too much of searching for scapegoats. The competition between banks and lending institutions to write home loans during property booms has a habit of getting out of hand, and this highlights a structural problem which needs to be addressed at a much higher level. The creation and eventual bursting of land price bubbles has a history of bringing the Australian financial system to its knees at regular intervals, so the Australian Prudential Regulation Authority ought to be pressing for a federal charge on all land values if it is to be effective in tending to the health of the financial system. In fact, APRA and the Reserve Bank of Australia need to get their heads together in order to demand of our politicians that the RBA administer an all-in flat-rate charge on land values. Such a charge should replace state stamp duties, payroll taxes and land taxes (the latter with their notorious thresholds, exemptions, aggregation provisions and multiple rates), and the revenue delivered, GST-like, back to the states. Maybe the charge ought also to replace the costly GST. It is not the job of the RBA to hose down the economy by non-discriminating interest rates, but, as with APRA, it is its job to protect our financial system against the creation of property bubbles. If the RBA tweaked a federal charge on Australia’s land values as assiduously as it has done with interest rates, both APRA and the RBA might finally begin to carry out their appointed duties, instead of seeking to put the blame elsewhere for the ritualistic lead-up to financial collapse. 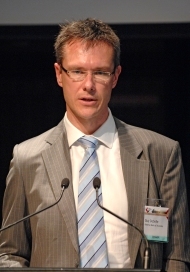 Bryan Kavanagh, Director, Land Values Research Group, Melbourne, Vic.